SEGA of America Inc. sent Sonic the Hedgehog racing toward Jakks Pacific. No word on how many gold rings were collected along the way. 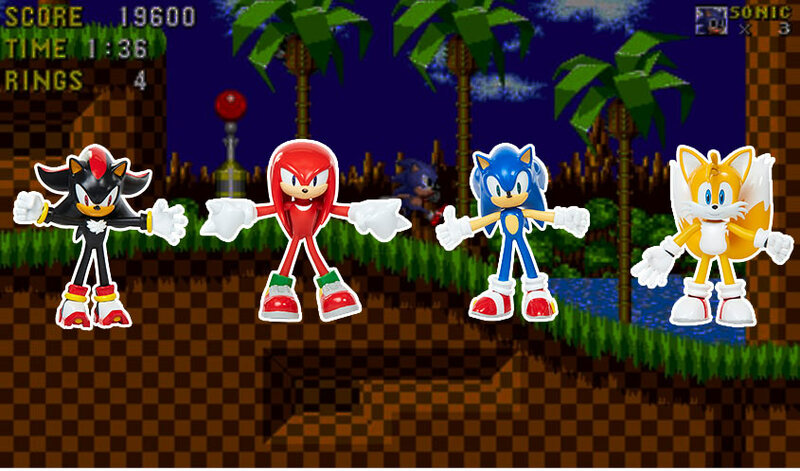 As part of a new, multi-year, global toy licensing deal with SEGA of America, Jakks will manufacture, distribute, and market toys based on the iconic Sonic the Hedgehog video game brand, which has continued to gain fans since its launch in 1991 on the 16-bit SEGA Genesis system. At Toy Fair New York, Jakks will showcase its new collection of Sonic the Hedgehog action figures, play sets, plush, collectibles, and novelty items. One early highlight is the Sonic Pinball Track Set. Kids can customize their own track, sending the Sonic Spheres through loops and turns. The new Sonic the Hedgehog toys will launch globally (excluding Asia) this fall.